I got this idea after seeing several Greenpoint cardigans in the KCWC flickr group. I am sure that is a great pattern, but I decided to take a stab at drafting my own pattern. I used several old tees from Goodwill as my fabric. 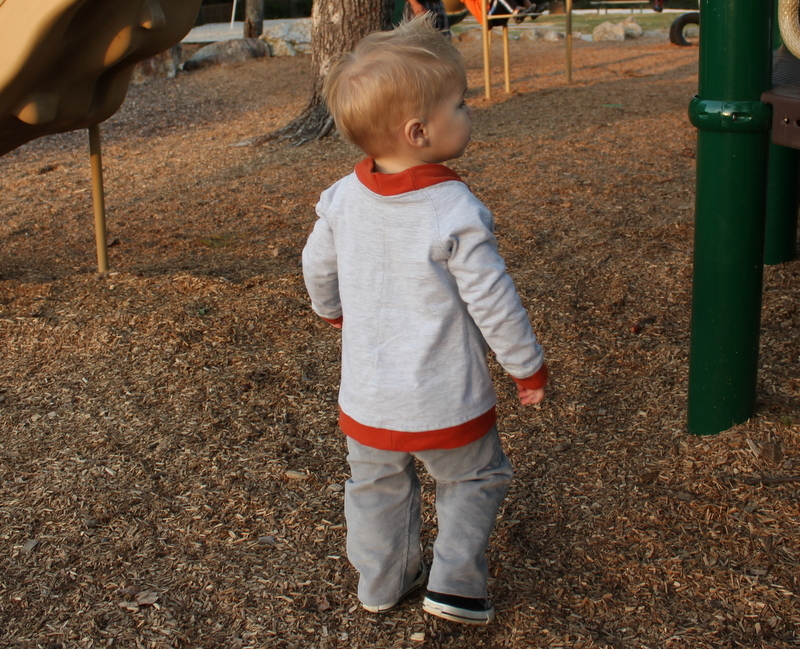 I took the raglan tee as my base (I used the raw edge raglan tee pattern from Sewing for Boys but you could use any raglan tee you like) and then completely disassembled and rearranged it. I moved the fold line over several inches in the front, back and sleeve pieces enlarging the tee so it would fit more like a sweater than a skinny tee. Then I cut the front piece straight down the middle and cut a curve down the front. 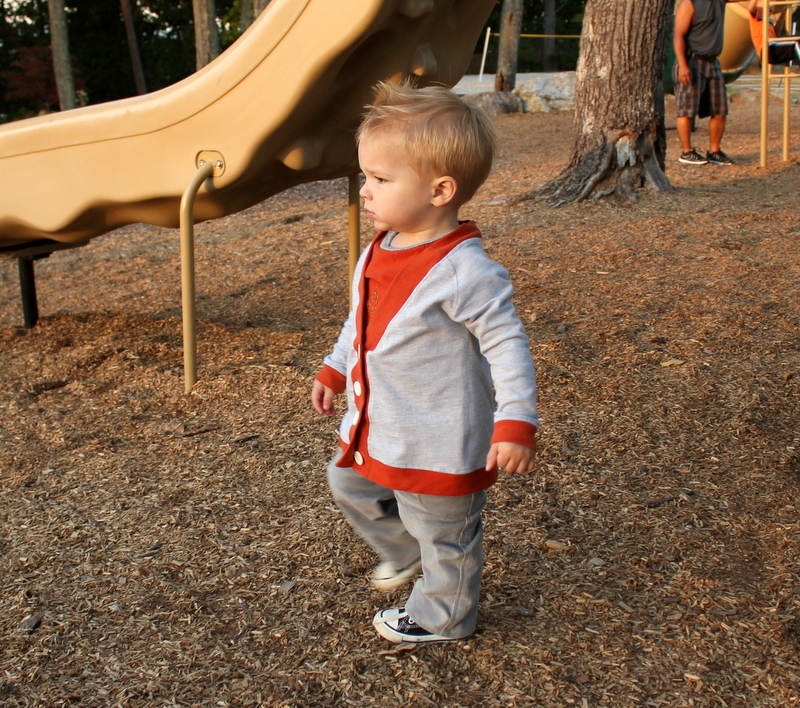 I sewed the base cardi together just like you would a regular raglan tee- enclosing all raw edges and made all the binding- for the sleeves, bottom, and neck/buttonhole facings. This I sewed on in similar fashion to adding cuffs. The only thing I didn't do quite right was to take enough off the neck to account for the binding so it was a little big/high in the back. To fix this, I made something similar to a dart down the middle of the back of cardigan. It's still a bit big, but it is supposed to be a sweater and it will give him time to grow into it. I am already thinking about how I will make the next one! Oh. My. Goodness. That is just adorable!